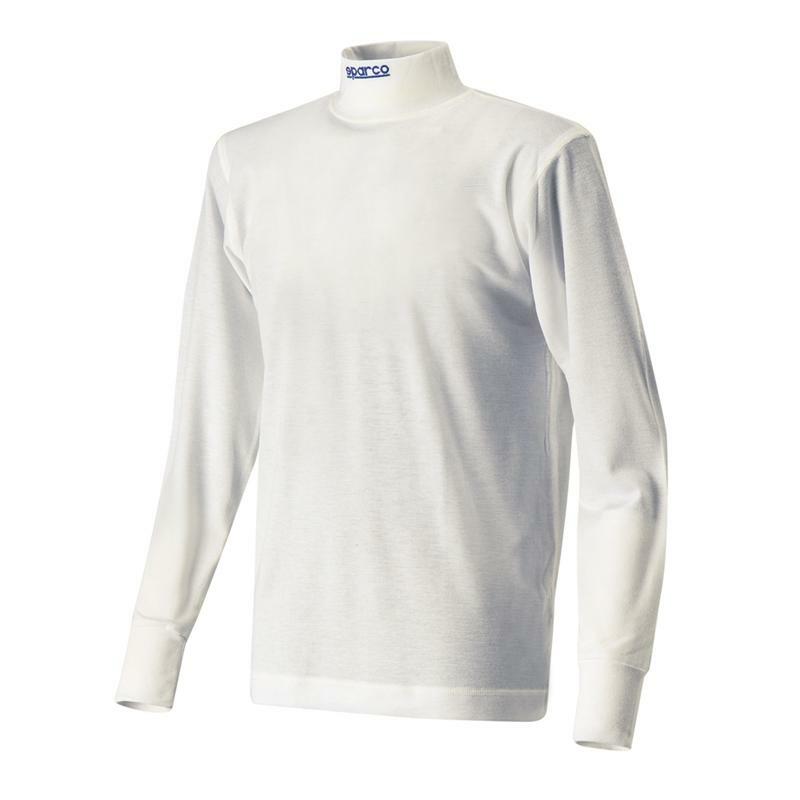 Sparco Racewear - Underwear - Nomex Soft Touch UNIVERSAL - Lesher Motorsports, Inc. The Sparco Soft Touch line of undergarments offers exceptional quality and value. All pieces dyed a natural white color that can be bleached for long-lasting vibrancy. Each piece is constructed from 100% Nomex® fibers and treated with Sparco’s exclusive Soft Touch treatment for added safety and comfort. The series includes long-sleeved undershirts, long underpants, a hood with a single opening, and a hood with a dual eye opening, knee-length socks and mid-calf socks. The hoods are one size fits all; undershirts and underpants are available in sizes from S to XL for guaranteed fitment; socks are available in sizes from 38/39 to 46. The Soft Touch line is FIA approved.